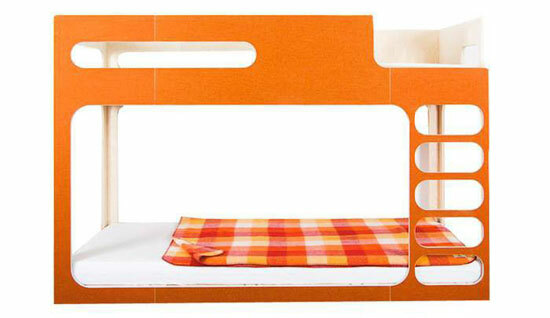 We did feature some rather cool kids’ tables from this company in the past, but we didn’t know they made beds as stylish as the Perludi Amber In The Sky bunk beds. Take your pick from grey or roan (orange is definitely our favourite), each with that incredibly stylish, slightly curved design with a very low ground floor for sleep and play, with a built-in ladder taken you to the upper bed. 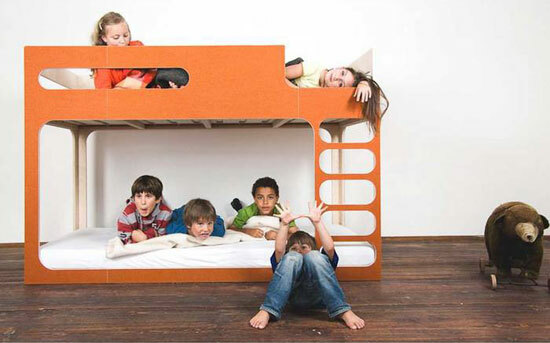 It’s made of a mix of birch wood and loden fabric and is slightly lower than most bunk beds, which might be useful for access and if you have lower ceilings in your home. Available online, it sells for £1,951.50.